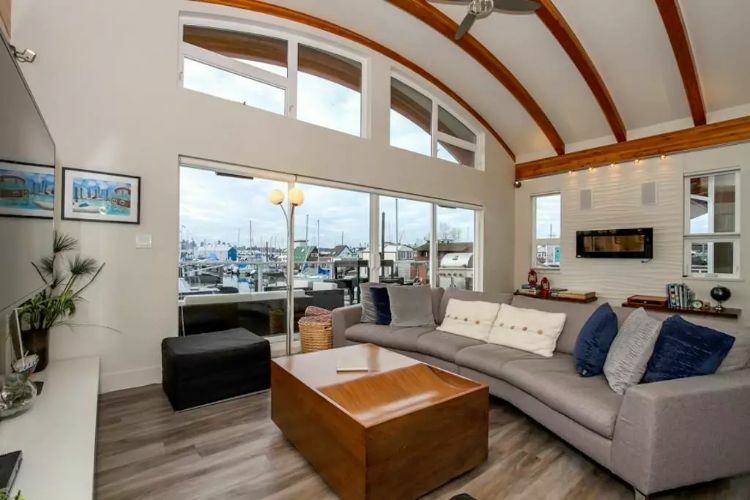 Located in Vancouver, this luxurious, sophisticated, and dreamy floating home contains room for all of your friends and family to experience a gorgeous Canadian getaway. With three bedrooms, three and a half baths, an oversized great room, and a gourmet kitchen, you'll lack for absolutely nothing while you stay here. 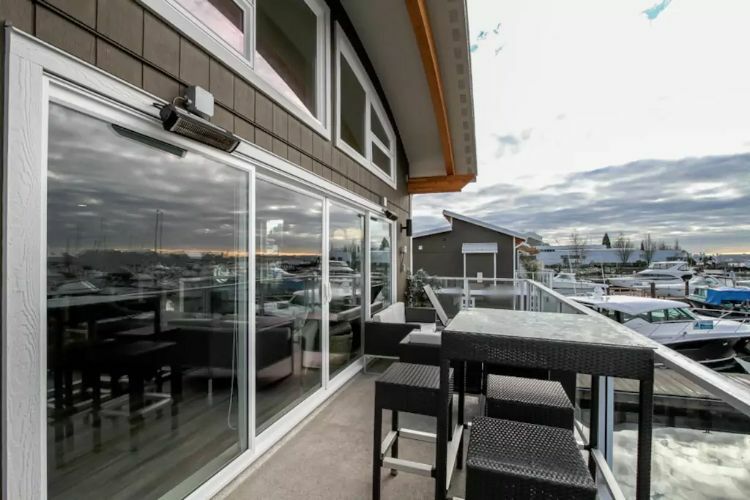 Indulge in the heated patio on those chilly Canadian evenings, and marvel in the view of the marina on clear days. 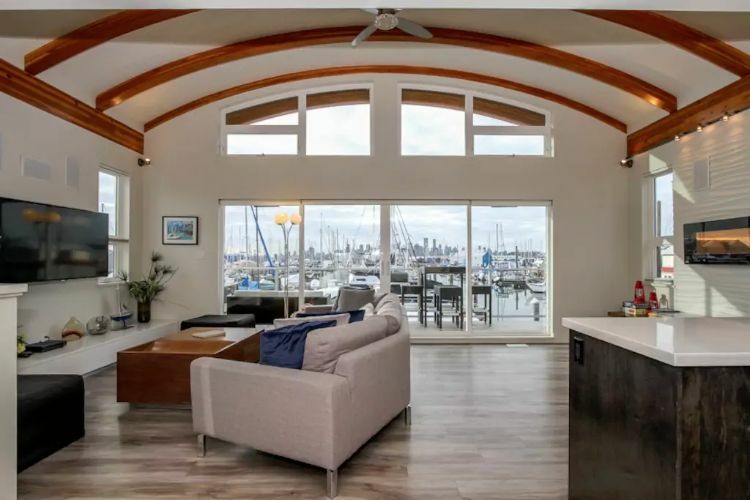 Check out the attention to detail that went into creating this retreat, including 16-foot barrel ceilings in the living area. The great room offers a flat-screen television along with a cozy fireplace and reading nook. Floor to ceiling windows illuminate the room with sunshine and sliding glass doors lead right out to the perfect patio. There's plenty of room to relax in this gorgeous great room! The airy ceilings make the room seem so spacious, and the artistic details, like the curved couch and modern coffee table, add even more visual appeal to the space and make it so warm and inviting. The kitchen is honestly a chef's dream come true! 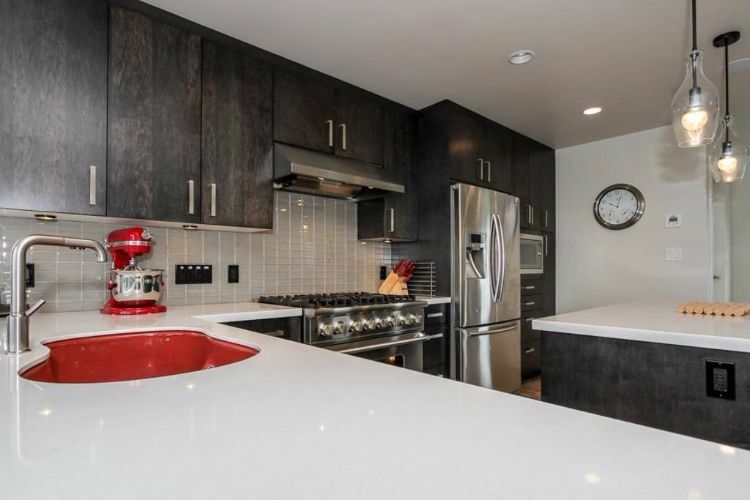 Check out that gorgeous red sink! 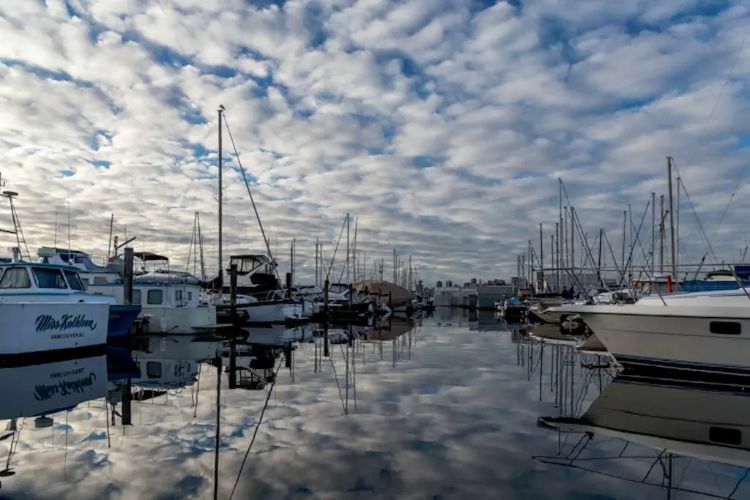 And of course, the room is fully equipped with the most state of the art appliances, including a stainless steel refrigerator, center island, 6-burner gas range, and microwave. There's also a dishwasher and a convenient wine chiller. 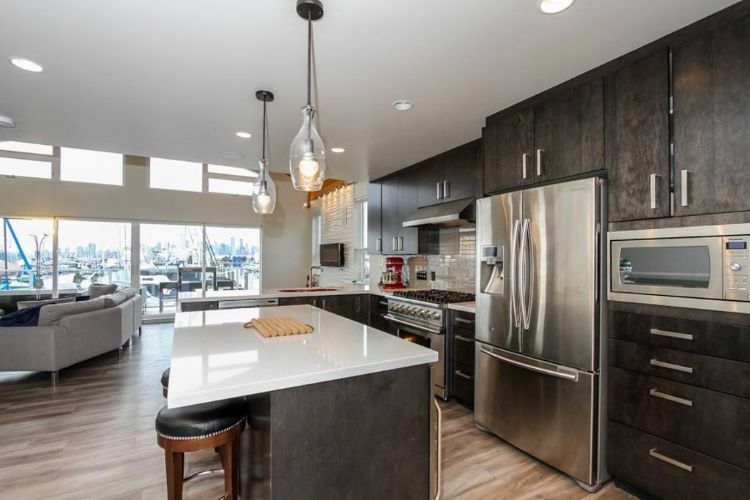 Pendant lighting looks chic and contemporary, and the pantry and cabinets are fully stocked with all of the dishes and cookware you require to whip up a tasty and delicious meal for your guests! The oversized wooden dining table seats 8. 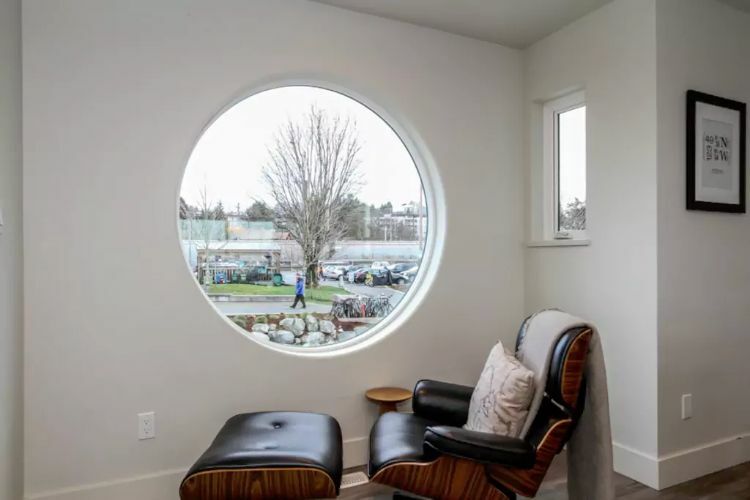 Climb into this cozy and beautiful Eames chair to take advantage of this adorable porthole window. This looks like a great place to curl up with a good book on a chilly day! 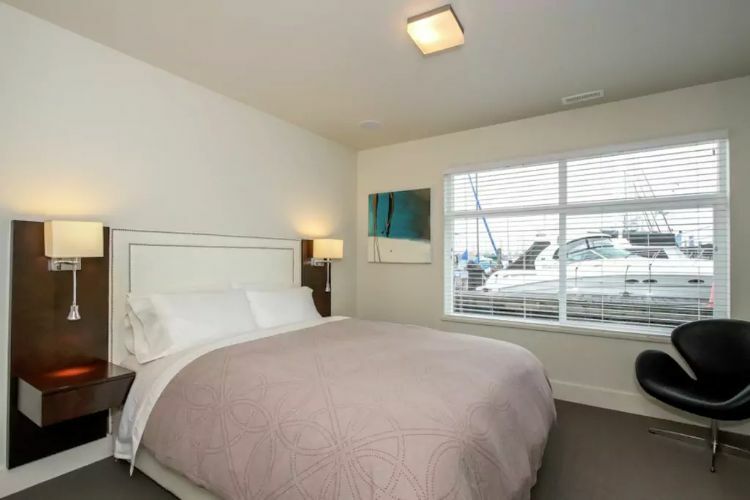 The first bedroom offers a king-sized bed and oversized television. 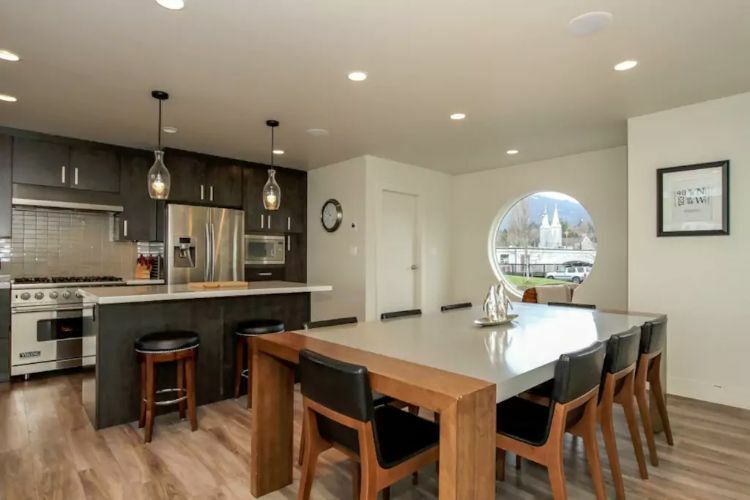 Porthole windows let in just the right amount of light. This home has plenty of bathrooms. 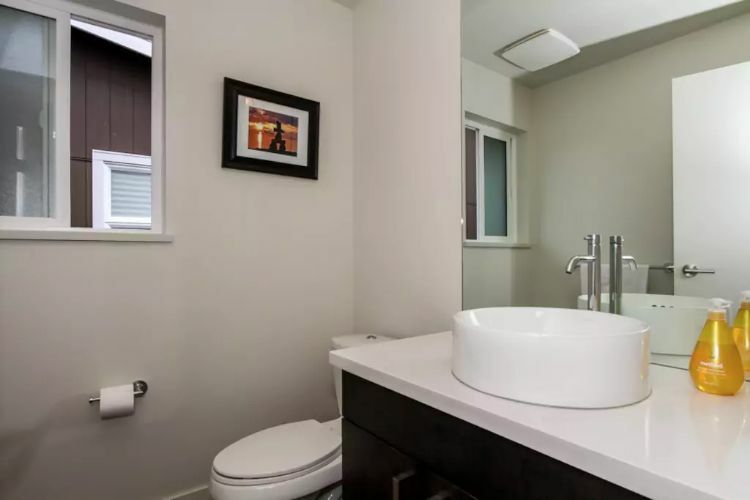 This half bath is located downstairs and offers a sink/vanity and toilet for guests, similar to a powder room. 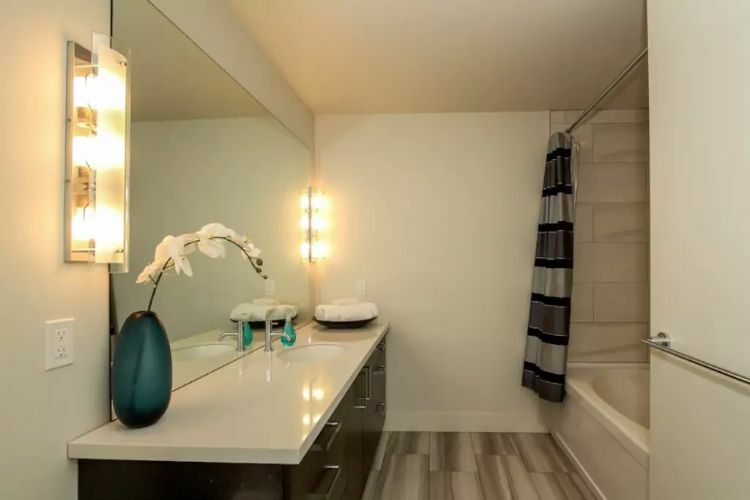 The master bathroom has a soaking tub and this stunning oversized vanity and sink area. 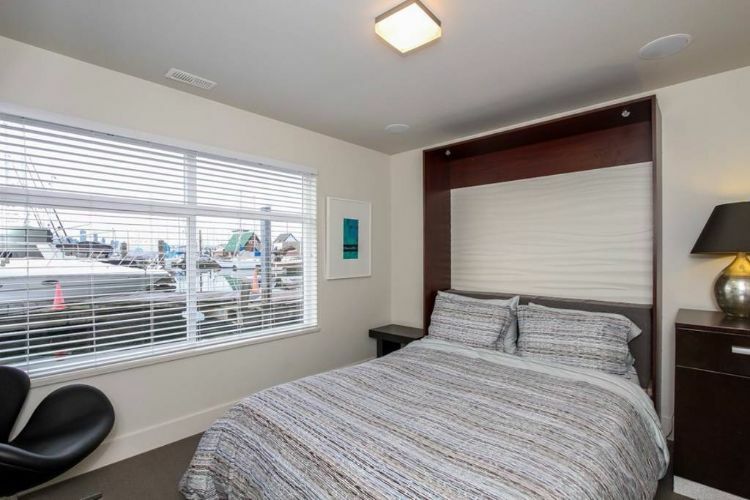 The second bedroom features a comfortable queen-sized bed and plenty of ocean views. 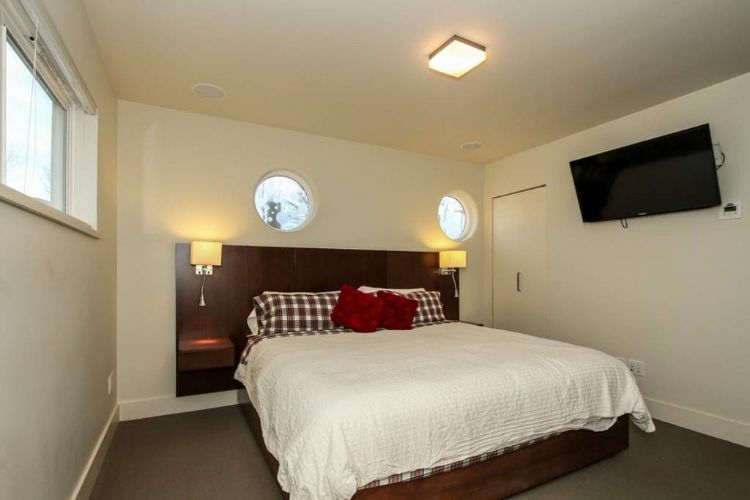 The third bedroom is also a queen room, and all of the bedrooms have televisions and plenty of window lighting! If that's not enough sleeping space, the couch in the great room has a pullout bed, and there is also a daybed in the living area! 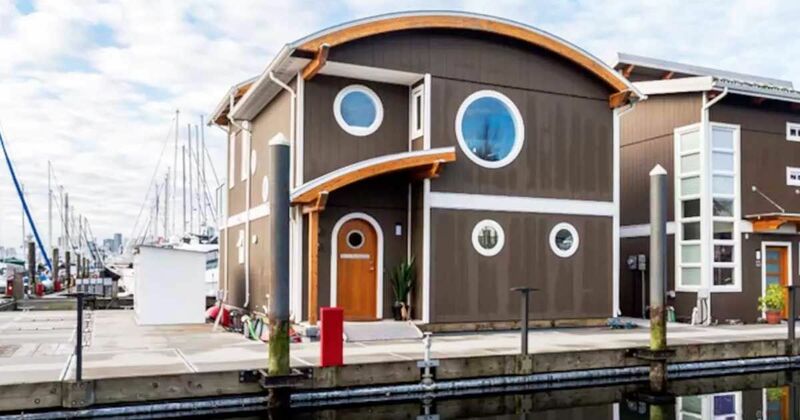 That means up to 9 people can comfortably sleep in this floating home! The heated patio is comfortable and cozy no matter what the weather is like outside! Enjoy dinner al fresco, or grill something tasty up using the outdoor barbecue grill!